Richard Gere has spoken up about China’s occupation of Tibet while in India. Speaking to English news channel NDTV 24X7, the actor and activist spoke freely about China’s regime in the country, and about the news that monks have been setting fire to themselves in protest against the continuing occupation. “It all really comes down to motivation,” he said. "I mean none of these self-immolators have harmed anybody else. It is totally a self-sacrifice for their people, for others. So on that level it’s a pure act. But I think it’s more important to look into the causes of why people would feel they would need to do these kind of things. “China is a very difficult place to live if you are a free thinker, if you are an artist, if you are a religious person, but especially in Tibet. I think they [Chinese officials] have so wrongly gauged the Tibetan people, thinking they could subvert the deep, deep, deep religious beliefs and make them true Communists. It’s never going to happen. Gere went on to say the world should not let China’s increasing economic power cloud our judgement of the issue. 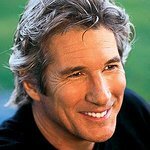 Gere is well known for his support in Tibet and humanitarian issues.